A76031 Silver New Sakhir ballpen by Inovo Design in satin chrome with bright chrome styling and a German made Super Smooth Parker style black ink refill. 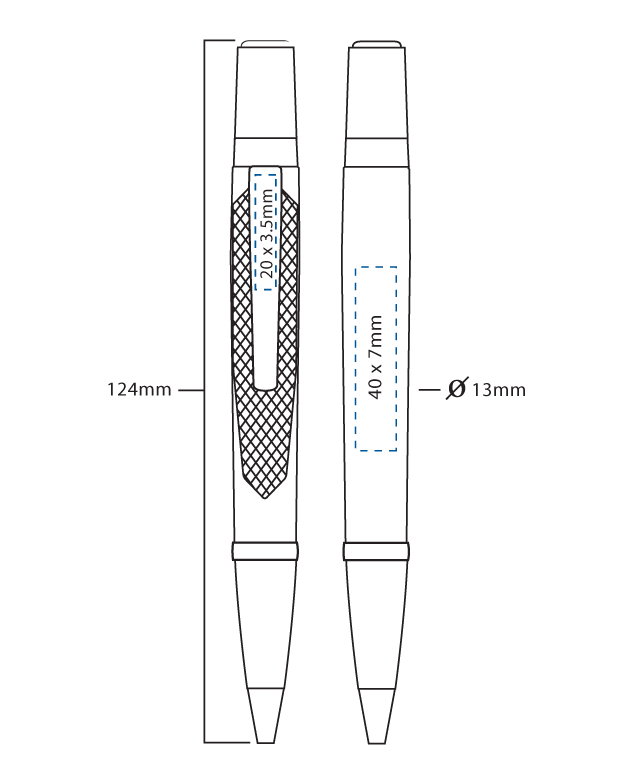 A76032 Gun Metal New Sakhir ballpen by Inovo Design in gun metal grey with gun metal styling and a German made Super Smooth Parker style black ink refill. 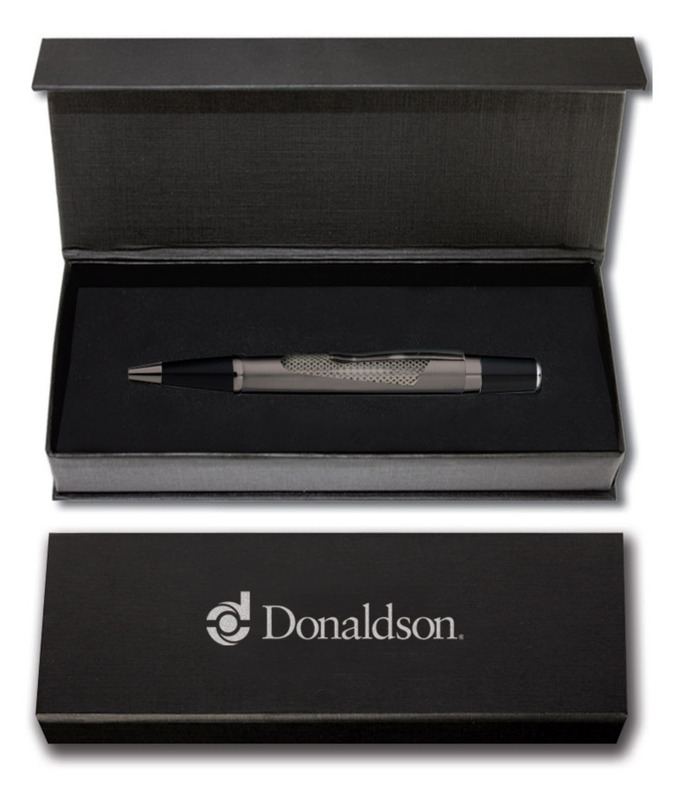 A high quality presentation box in matt black woven effect material with a black flocked insert for one. Screen printing is available on the box lid. High resolution laser engraving is a permanent alternative to screen printing which reproduces designs in incredible clarity and detail. 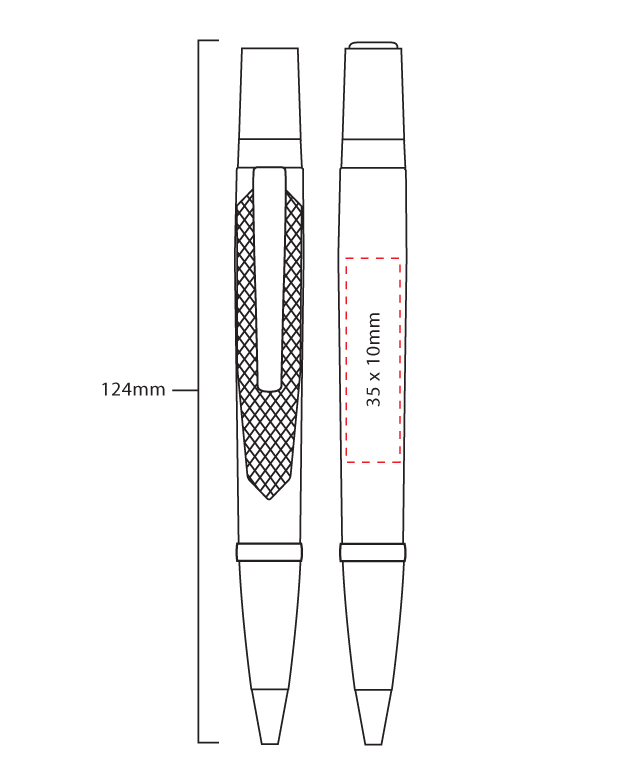 A mid grey colour is reproduced on the pen clip or barrel of the Silver Sakhir and a light bronze colour is reproduced on the pen clip or barrel of the Gun Metal Sakhir. Laser engraving is an additional cost to screen printing. 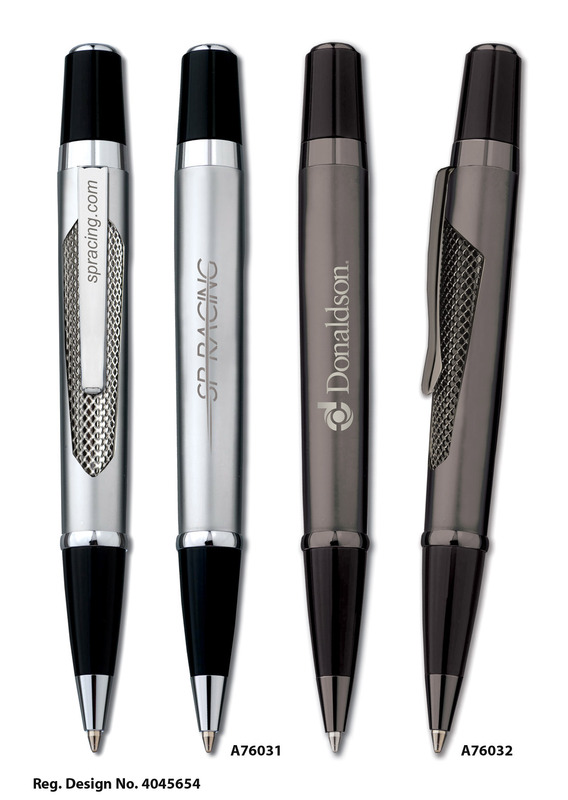 The Sakhir ballpen can be multi-tone laser engraved on the silver satin chrome finish only to enable two or three colour designs to be reproduced using different shades of grey to represent different colours.